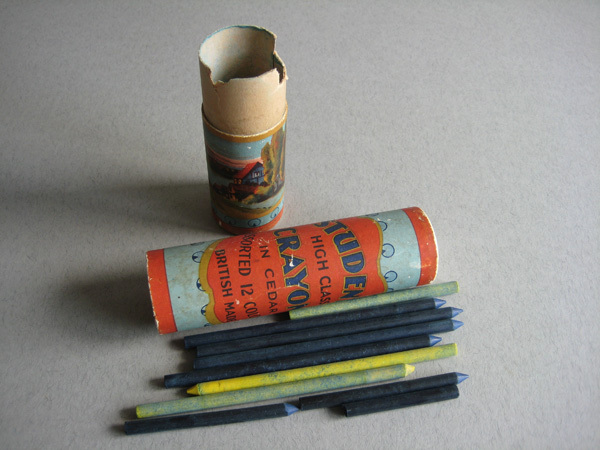 These are 2 school writing and crayon sets. 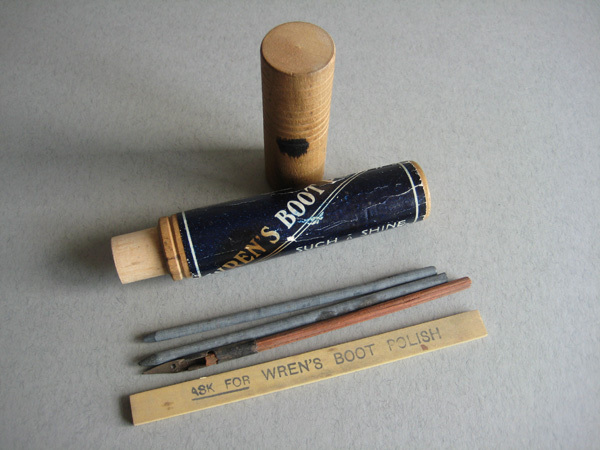 The first is advertising Wren's Boot polish. It is a wooden tube which holds a small ruler, a dip pen and 2 stylii for writing on the slates they used to use in school. It is 200mm long and has a label around it reading, Ask for Wren's Boot Polish, such a shine in a minute, the best of all. Difficult to date but probably from around the time of WW1. The second set has no makers name but the label says, Students high class crayons. Originally there would have been 12 crayons "in cedar" according to the label, now it holds a number of blue and yellow crayons without the wooden casing. 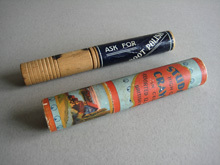 The tube is cardboard and is 185mm long. The tube has lovely decorations around it. Again difficult to date but probably 1910's or 20's. The sets are good but different examples of the sort of things our grandparents (or great grand parents) would have used in their schooldays. 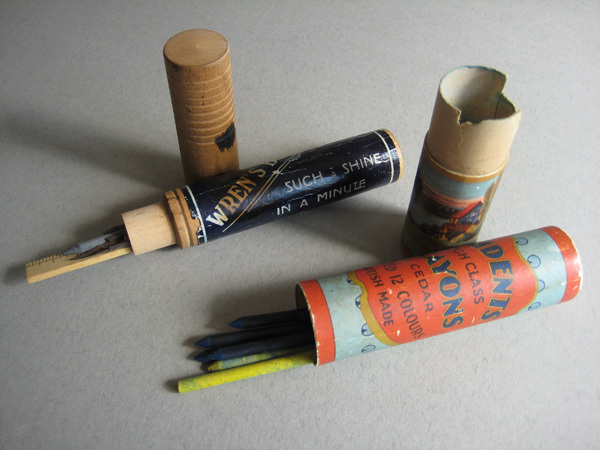 Prices, Wrens set £16.00, Students crayons £9.00. Postage & packing for UK £3.30 each.